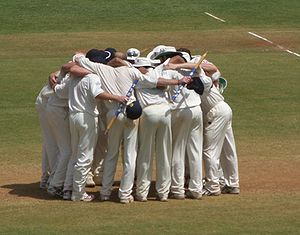 There are several very good articles on the format and value of Daily Huddles. One of the best that includes both the value of the daily huddle and an agenda is by Rob Kelly. It provides the basics, an agenda we recommend through the Rockefeller Habits, and some bonus tips that all are on target. 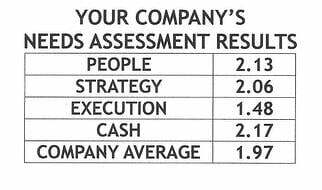 Verne Harnish’s Daily “Adrenaline”Meeting provides some good information as well. If you’d like to watch an example of one type of Daily Huddle you can view a medical clinic’s 3 minute video and example at Video of a Daily Huddle at Everett Clinic. Alan Rudy provides some insights into the importance of the daily huddle in this video on my website, plus there’s a good agenda included in a previous blog on my website at Strategic Discipline Starts with Daily Huddles. Why should you start daily huddles? Team performance improves through peer pressure, collective intelligence and clear communication. A daily huddle brings everyone together in a department or even a small business to get things quickly and accurately communicated. It eliminates telephone tag, unnecessary and frequent interruptions, and gets everyone’s focused attention on issues at hand and increases the rate of deliverables. What should you expect from your daily huddles? In the time it might take to take a bathroom break, managers, department heads and in the case of a small business everyone in the company communicates what they are working on, where they are stuck, progress on daily company indicators, accountabilities, assignments and new priorities are discussed, and a positive personal or professional input is offered. Finally why do you need daily huddles? Verne Harnish, author of Mastering the Rockefeller Habits notes that at the heart of executive performance is a rhythm of tightly run daily, weekly, monthly, quarterly and annual huddles and meetings. These meetings provide the opportunity for you to focus your executives and staff on what is important. You’ll solve problems more quickly and easily, you achieve better alignment with strategic decisions, and you’ll communicate more effectively. Do you need more reasons than this to start with the daily huddle practice? If you’d like an agenda for the daily huddle along with an explanation of the process, the why’s where for’s and genius behind it, send me an email and I’ll be glad to send you the short 8 page documented process I’ve written on it. Next essential meeting is the weekly meeting. We’ll discuss the agenda and why it’s so important next blog.